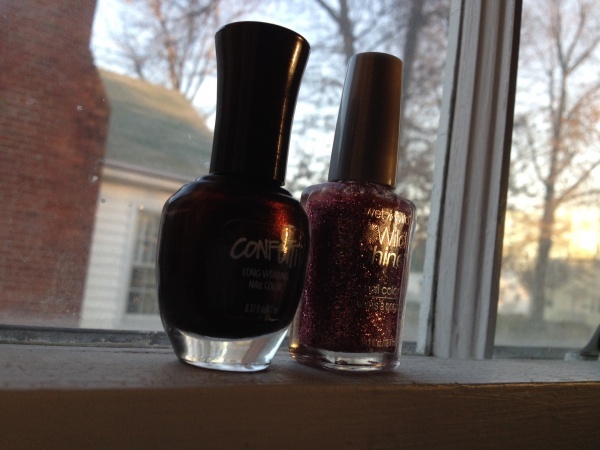 First I started with a coat of Sinful Color base, then Sinful Colors in “Bikini” which is a BRIGHT pink shade. 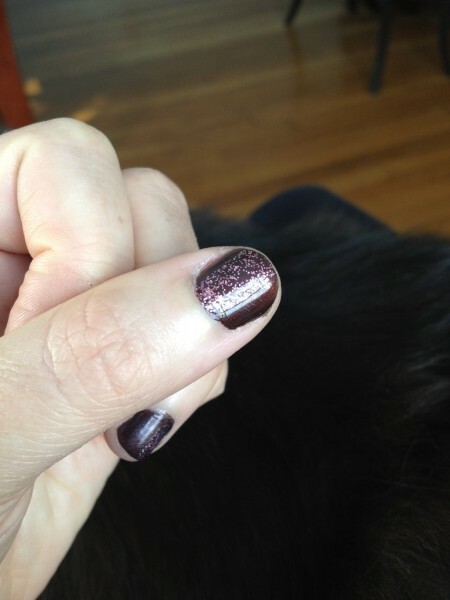 And to think, at the beginning of February I thought that Zoya’s “Lo” was bright. I have now reapplied this color when it started to chip. AND it’s stayed on without chipping for a very long time (I’m thinking around 7 days) before chipping. And I’m not gentle to my nails. I love how smooth this polish goes on and the fact that both times I’ve used it, I’ve been smudge and dent free on top and stayed that way. The first try I just applied it to my existing color which made for a really nice orange shade but it wasn’t what I was looking for. Second attempt I used it just on top of a base coat. It lacked “oopmh.” It looked very plain, very boring, still sheer. I could have more color on my nail if I used a highlighting marker. Third try was the charm. I used a coat of white first and finally got that in your face shade I was seeing in the bottle. 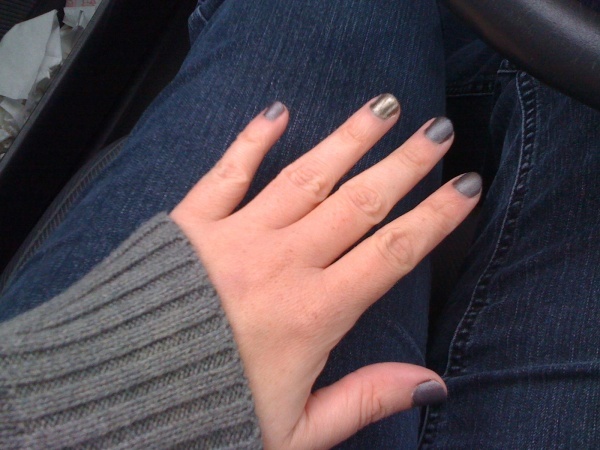 Pictured here with the heart nail file from one of my previous Birchbox’s. I will say I’m not amazed by this particular brand nail polish, Spoiled, just because it IS so sheer and it does stay as clean and smooth looking as the Sinful Colors. I’m not sure if this is the entire brand or the color itself. I would give both a second chance. I do think I might invest in a better neon yellow though if my second attempt doesn’t go so well with this yellow. 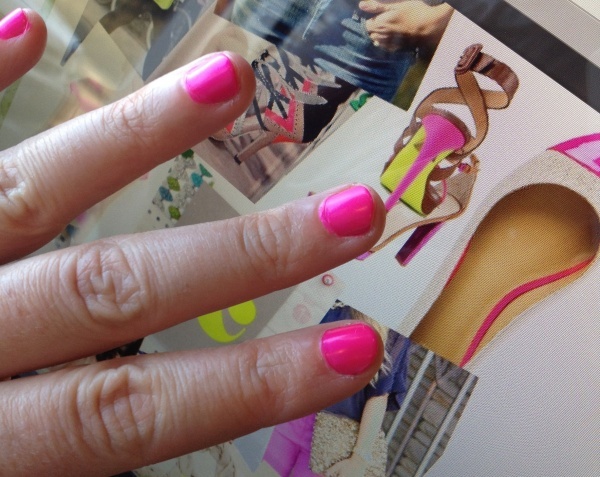 It IS a cheap way to give neon a try. 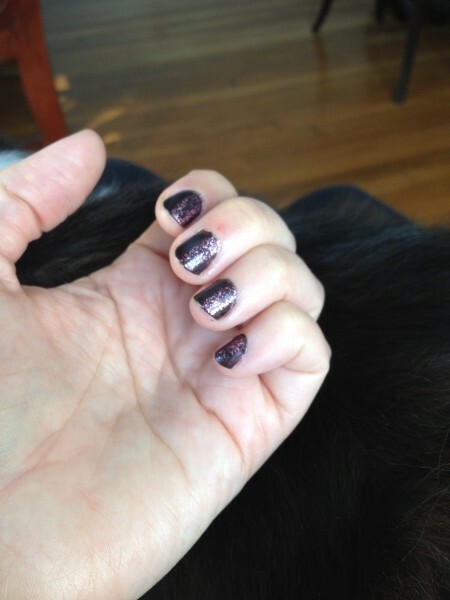 Zoya Loredana on ALL of the nails and then Wet n’ Wild Shield (231) over the ring finger nail for a metallic shine and contrast. 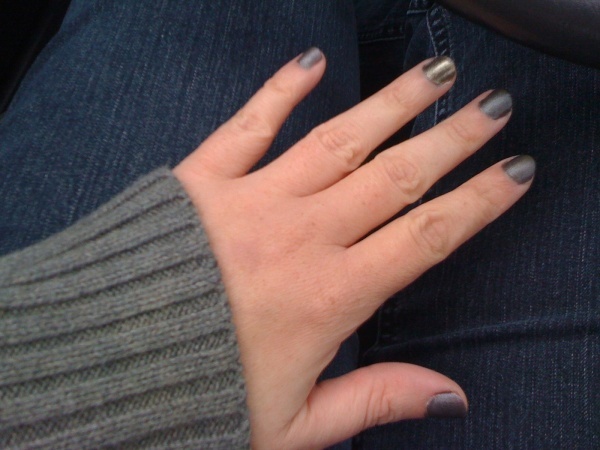 This is the first time I’ve really left the matte gray on for awhile and I wanted to note that because I can’t put a top coat on this, it REALLY doesn’t last nearly as long as the glossy colors. Has anyone used any matte top coats like Essie’s “Matte About You”? What do you think about them? 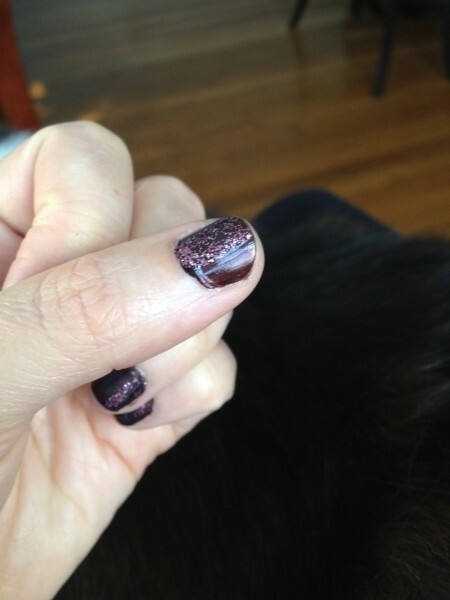 Does your nail polish last as long without chipping with it on? 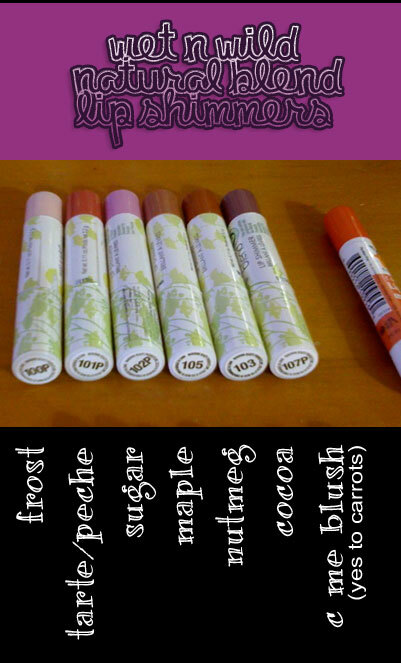 Now I have some photos so you can see these Lip Shimmers compared to the Burt’s Bees Lip Shimmers. I also did the swatches on my arm in different lights since it can often be hard to tell what color something is online. Sorry that the first photo is a little blurry. As you can see, many of the colors are similar but only a few could be mistaken for one another. Wet N’ Wild’s “Frost” is almost indistinguishable from Burt’s Bees “Champagne” Lip Shimmer and both “Nutmeg” colors are pretty darn close. As I mentioned in the previous post, the ingredient list is natural with no parabens, no synthetics etc. which is very surprising for a cheap drugstore brand that doesn’t usually focus on natural products. And when I say cheap drugstore brand, I really do mean cheap. 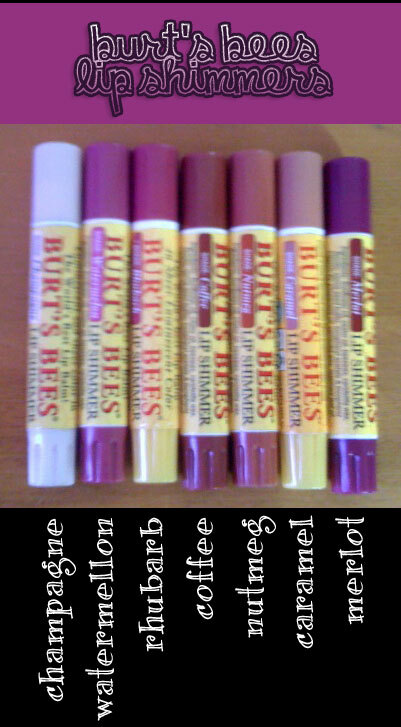 Burt’s Bees Lip Shimmers are $5 each whereas the Wet N Wild Natural Blend Lip Shimmers are only $2 each. You can typically find then at Walgreens but if you don’t see them in the stores you can still buy them online. Amazon.com carries them but at a much higher price so I would recommend Walgreens.com or Drugstore.com if you’re having trouble finding them locally.